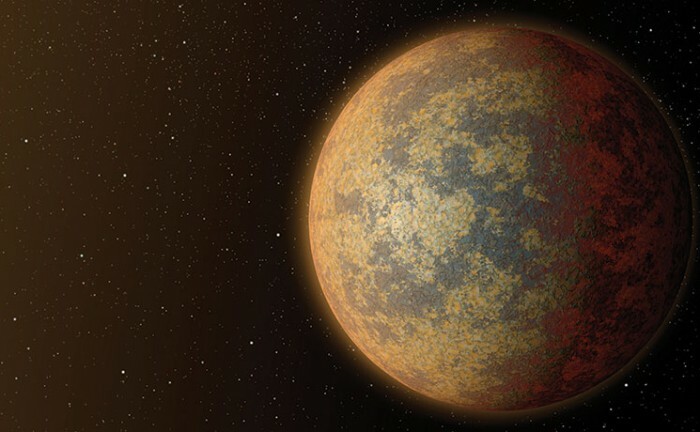 The Kepler Spacecraft, which has the ability to observe distant solar systems, has discovered a rocky planet bigger than scientists ever thought was possible. Meet BD+20594b. The former title holder of “biggest rocky planet” went to Kepler-10c, which has a radius more than double that of Earth. We thought this was as big as rocky planets could get. Most of our understanding of planetary formation and solar system development has come from direct observation of our own Solar System. We simply couldn’t see any others, and we had no way of knowing how typical—or how strange—our own Solar System might be. With the discovery of BD+20594b, though, we’re learning, and Kepler-10c has some intense competition. The new planet is about 16 times as massive as Earth and half the diameter of Neptune. Its density is about 8 grams per cubic centimeter (for comparison, Earth is 5.514 g/cm). This is rather dense, but it makes sense, as it’s composed entirely of rock. The planet, whose existence was reported on January 28 at arXiv.org by astrophysicist Nestor Espinoza and his colleagues at the Pontifical Catholic University of Chile in Santiago, is over 500 light years away, in the constellation Aries. The planet was discovered last year, as it passed between Kepler and its host star. Luckily, the planet’s host star is exceptionally bright, allowing a more detailed observation than most exoplanets. The discovery and further study of BD+20594b is important for a couple of reasons. It shows that there is still so much to learn about planetary formation. Kepler’s mission, which started off just confirming the existence of exoplanets, and showing us how common they are, will play a key role in furthering that research. In addition, there’s much more variety in planetary composition than just what we see in our own solar system. Now that we have this new planet to compare to Kepler-10c, astrophysicists can do further research on planetary formation theories. A Lack of Carbon in Mars’ Atmosphere Leads Scientists to Ask: Did Mars Ever Have Much Water?